Treasured antiques would feel right at home! Spacious kitchen gives you room for family to gather around the table, "Grandma's cabinet" and cooking space. Relax in the den by the fireplace or enjoy quietness in the parlor. Eight rooms offers everyone their own space featuring 4 bedrooms, 2 baths. Formal dining room, kitchen, den, parlor, wide foyer. Office area and space for library. 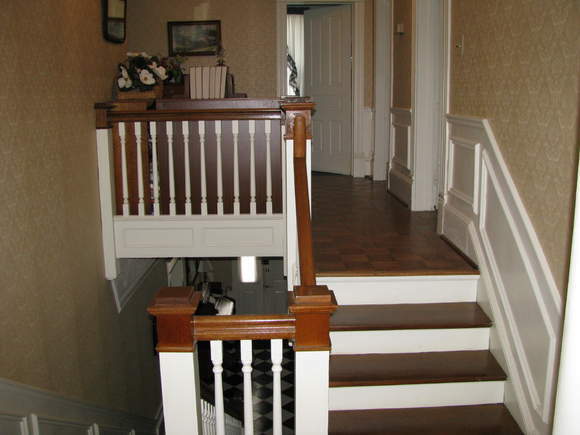 Wainscoting, crown molding and chair rails throughout. Panel moldings in parlor, den, master bedroom. 9 1/2' ceilings on main floor and 8 1/2' ceilings on upper level. 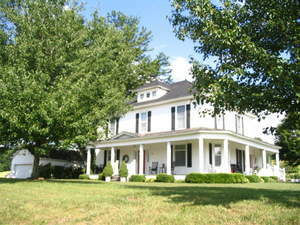 The 520 sq, ft. columned porch across the front and down the east side can be enjoyed all year around. This 2 1/2 acres gives you a level lawn, detached 24x20 garage with fuel shed attached on back, insulated well house, 40'x50 barn, orchard area and garden area. For those just wanting a little bit of county,here it is... very attractive outside and inside! There is also more acreage available. 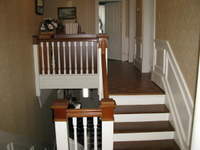 Easy access to the Town of Floyd or Blue Ridge Parkway and only an hour from Roanoke or Blacksburg. Call the Floyd Office, 540-745-6500 today to schedule your showing.